Allan was the Chicago distributor for Seattle Sutton’s healthy eating for 16 years. His offices were located in the Gold Coast and Streeterville neighborhoods. He has been a resident of Streeterville since 2003 and enjoys the neighborhood feel. The proximity to the Lake, River and Millenium Park make this the ideal “spot to live and enjoy the City”. I am currently residing overseas and had a search for a condo in Chicago. I was introduced to Allan through a person that has worked with the firm in the past. I have closed the transaction and achieved my objective. Throughout the process Allan has been instrumental in selecting the right location, building, price and all of the other details. As a first time buyer, he has clearly surpassed all of my expectations. I would recommend him for your business as well. I personally plan to work with him on my future searches. Mr Feldt recently handled the sale of my condominium. He sold it 6 days after it was placed on the market. I attribute the sale to Mr. Feldt's expertise, guidance, and professionalism. He was knowledgeable about the market and trends. He was proactive with showing the unit, he was attentive to ALL the details, and he was (is) very personable. If you are thinking of placing your property on the market, I would HIGHLY recommend Mr. Allan Feldt. If you want a realtor that is sharp and knows his business and neighborhoods, you'll want to meet Allan. There was a condo that I wanted to see, but the realtor I initially hired couldn't seem to get me in. And then I was introduced to Allan. The realtor that had the listing was tough and it was hard to get an appointment, but Allan kept at it. Sure enough he got us in for a showing, and I'm happy to say that I now live in that apartment. Had Allan not pushed, I would have lost out. If you hire Allan to be your realtor, you'll get everything you're looking for, and maybe even more. I say, "give him a shot"! You'll be happy that you did. Good luck!!! 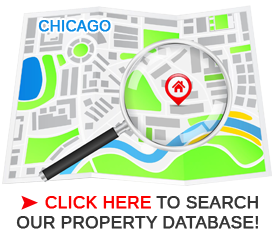 I recently worked with Allan to find a condo to purchase in Chicago. Since I live in Boston, I really depended on his knowledge of the area and his ability to find the places that suited my needs. I was only able to make a few visits, and he was always so flexible and accommodating with his schedule. In between those visits he constantly sent me information and photos, keeping me up to date with all new properties on the market, making the process so much easier. He found me the perfect place, and I'm thrilled with my new condo. Allan made it such an enjoyable experience, and it was truly a pleasure working with him. Allan is a true professional when it comes to knowledge of the Real Estate Market. His vast knowledge of the Chicago market helped me find the perfect place to rent. His professionalism and caring attitude was a true joy to work with. He pays attention to every detail and has excellent communication skills regarding every aspect of the process from start to finish.